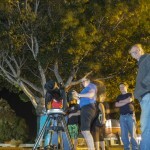 Night sky viewing finale for ASPIRE2013. 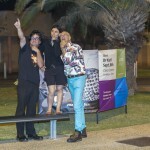 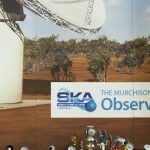 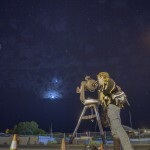 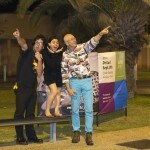 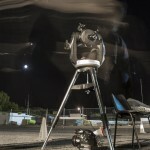 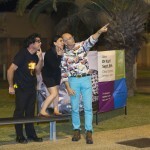 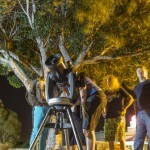 Night sky viewing with Dr Karl and the Scitech crew. 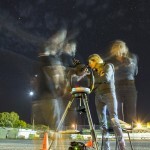 Therese doesn’t know who to believe! 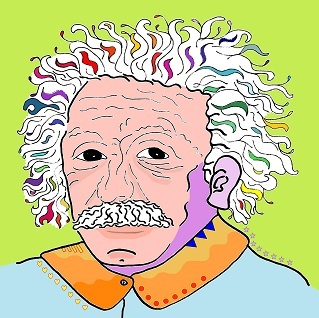 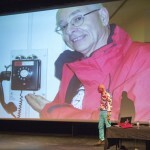 This is how the universe started…. 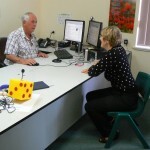 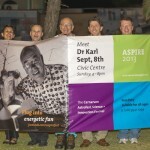 Sabrina-ASPIREnet & event director; Owen Griesch-Curtin Uni; Dr Karl-Sydney Uni; Ryan Kempster-UWA; Steve Hale-Birmingham Uni. 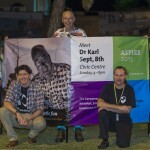 Thanks to the Sponsors for funding this asset for ASPIRE2013. 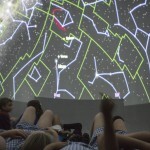 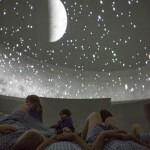 The Scitech Space dome had full house for each session during the entire festival. 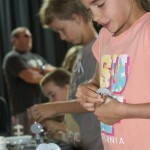 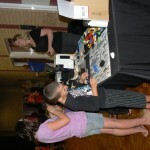 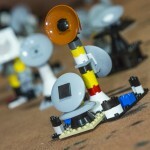 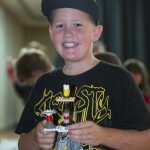 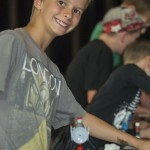 The star activity of ASPIRE2013 – designing your own LEGO antenna systems. 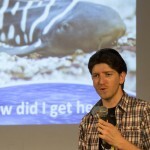 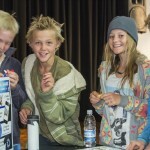 Ryan Kempster was popular in presenting electrifying facts about sharks. 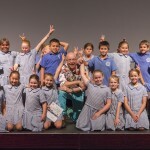 St Mary’s Science Fair winners – Year 4 with Dr Karl. 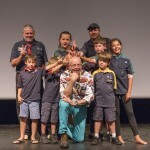 Carnarvon Scouts with Dr Karl. 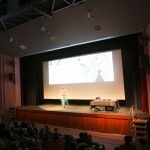 Dr Karl captivated his full-house audience for nearly two hours. 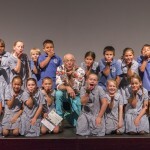 Now Dr Karl is in full flight. 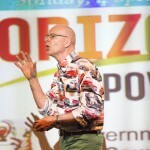 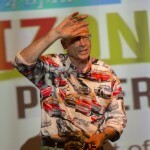 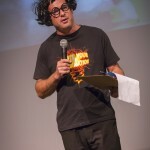 Mad Scientist Jim in full flight as Dr Karl’s MC. 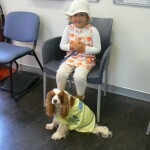 This science stuff is fascinating Mum. 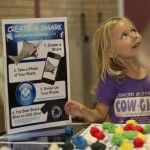 Making shark body parts with Ryan Kempster. 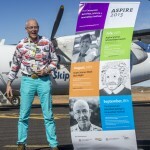 Dr Karl arrives at Carnarvon Airport. 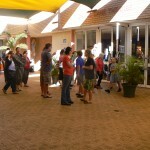 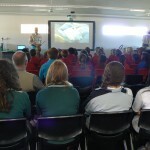 Dr Karl mesmerizing Year 6,7,11,12 of Carnarvon Community College. 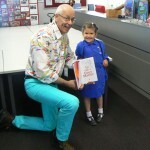 Dr Karl with aspiring student Ya’el. 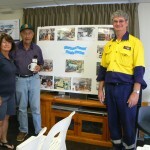 Horizon Power staff with Mr Barry Scott, the original 1960s builder of the power station. 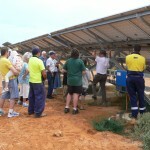 The ASPIRE2013 Horizon Power tour at the EMC Solar Farm. 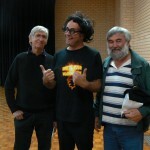 Quiz Master Jim with Mick and Romeo. 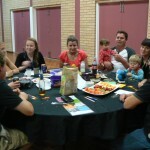 And the winners were – this table – Congratulations. 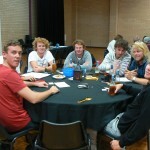 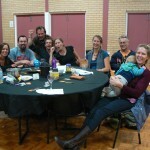 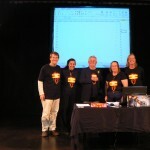 Science Week quiz night crew. 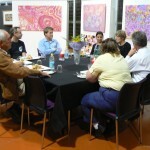 Carnarvon teachers having a celebratory meal with Prof Beazley. 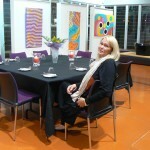 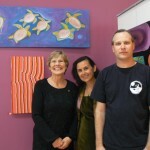 Bonni Ingram the Artist who generously hosted the launch of the Science Scholarships at her inaugural exhibtion. 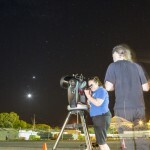 Prof Beazley, Sabrina Dowling Giudici and Owen Griesch from the Exmouth Solar Observatory. 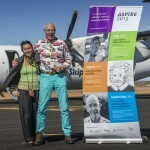 Prof Beazley and John McCloy with School of the Air, Year 7s. 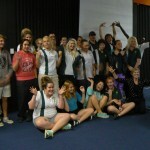 Prof Lyn Beazley AO FTSE with senior students of Carnarvon Community College.